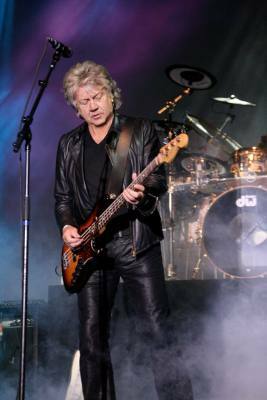 John Lodge is bass guitarist, vocalist, and songwriter for the iconic rock band, The Moody Blues. Songwriter of such mega Moody Blues hits “Ride My See-Saw”, “I’m Just A Singer (In A Rock and Roll Band)”, “Isn’t Life Strange?” and many more. Lodge has been performing and recording with The Moody Blues for more than five decades, selling more than 70 million albums. Lodge has been voted one of the “10 most influential bass players on the planet,” and has been the recipient of many awards, including ASCAP (American Society of Composers and Publishers), and Ivor Novello Award for Outstanding Contribution to Music, and inducted into the Hollywood Walk of Fame, to name just a few. The Moody Blues have released 15 studio albums and countless compilations, and John has also released three solo albums; NATURAL AVENUE in 1977, 10,000 LIGHT YEARS AGO in 2015, and his current LIVE FROM BIRMINGHAM, THE 10,000 LIGHT YEARS TOUR. He also released the duo album BLUE JAYS in 1975 with Justin Hayward, and they were voted the Top Duo for that year. 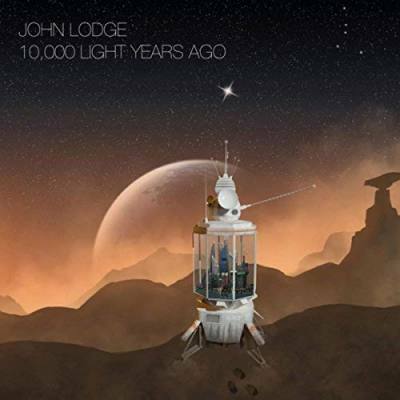 Lodge released 10,000 LIGHT YEARS AGO, his second solo album, in the spring of 2015. The recording again reunited Lodge with special guest contributions from former Moody Blues bandmates Ray Thomas and Mike Pinder on the song “Simply Magic.” Legendary guitarist Chris Spedding again appears on the album, among others. The collection was recorded at various locations and completed at The Mix Factory studios in Florida. Lodge’s song “In My Mind,” was nominated “Rock Anthem of the Year” by Prog Magazine. 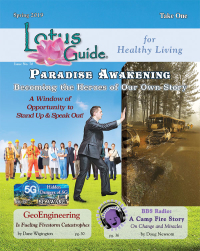 Whilst still touring with The Moody Blues, Lodge undertook his first ever solo tour in September 2016, visiting 12 cities in England, followed by a short tour in Florida in February 2017, and was invited as ‘Special Guest’ onto the ‘Cruise to the Edge’, a Prog Rock cruise from Tampa to Cozumel. 2017 saw a 9-date tour around the NE of the USA, finishing to a sold-out performance at City Winery in NY. The last night of the English tour was at the Birmingham Town Hall, John’s hometown, and the concert was filmed to capture this special evening. In December 2017 it was announced that the Moody Blues were being inducted into the Rock and Roll Hall of Fame as part of the ‘Class of 2018’. They first became eligible in 1990, and it took 28 years to receive the nomination. The news that they were being inducted was met with rapture by the generations of loyal fans who had been championing their inclusion for many years; prior to induction, every 7 out of 10 letters received by the Hall of Fame were about the Moody Blues, and their support drove them to a strong second place in the ‘fan vote’, garnering 1m votes. The Moodies performed live at the ceremony in Cleveland on April 14th, closing the show, and the event is currently showing on HBO and soon to be on Amazon Prime. The Moody Blues will be returning to the Wynn in Las Vegas in September 2018 for a further three-week Residency. In October 2018 John will be taking his 10,000 Light Years Band on the road for a 10-date tour of the USA, and in February 2018, John will be returning to the ‘Cruise to the Edge’ sailing out of Tampa, Florida.